With a wide open course and over 100 mph speeds, anything can and will happen. The fourth round of the Superkarts! USA ProKart Challenge South program saw just that as they visited the popular Streets of Willow course in Rosamond, California, co-hosting with a US Rotax Max Challenge program – the Gatorz Karting Cup series. Considered by many as a sprint course on steroids, the 1.8-mile course at the Willow Springs International Motorsports Park provides the feel of road racing while still providing the short-track mentality. Drafting is a key element contesting the Streets course – with the ability to get through the corners the quickest still a crucial part to putting together the right package. Working together was another factor – both on and off the track. Drivers worked together to produce the fast laps, while SKUSA and Gatorz Karting Cup operations joined forces to put on the event, welcoming over 100 drivers total. The union was the first for the two separate entities, and with the experiment a great success, cooperation between the two is expected to be seen in the future for the two Southern California-based operations. “It was a great time working with the Gatorz crew and seeing so many karts on track – we’re definitely planning on doing it again,” stated SKUSA’s Tom Kutscher. Online Race Entry for the SummerNationals is now open. In addition, we have posted complete host hotel information with our special rates. The 2010 season has now grabbed sixth gear for the staff of Superkarts! 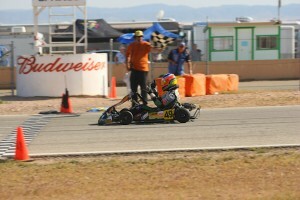 USA, as they continue to promote regional and national karting events throughout the western half of the United States. 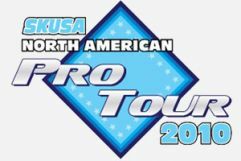 The organization took a major step during the off-season in launching a new three-event ‘Pro Tour,’ and the impressive success of the inaugural SpringNationals in Sonoma back in April has fired a new wave of momentum. With that breakthrough event now in the books, much of SKUSA’s current focus is now being directed on the upcoming SummerNationals, which will take place on July 16-18 at USA International Raceway in Shawano, WI. This will be the organization’s first official promotional effort east of the Mississippi, and long-range predictions call for a strong turnout of competitors, including a couple of big-name NASCAR stars. SKUSA is also working closely with several of its partners to ensure that this race will be a major league event, and the new programs that are in the works include a pre-race golf tourney promoted by eKartingNews.com and a special S5 motor rental program. SKUSA is also communicating with its foundation of shops and racing teams to promote affordable equipment shipping opportunities for those drivers who wish to participate in the next Pro Tour event. The key concepts are to produce an enjoyable event that is open to any and all karting enthusiasts. In the early years of the Superkarts! USA regime, the SKUSA Mountain Region was a strong presence in the sport of karting. Fast forward to the present time and the new era of SKUSA, the organization is looking to build the solid core of regional racing across the country once again. With that, the rebirth of the Superkarts! 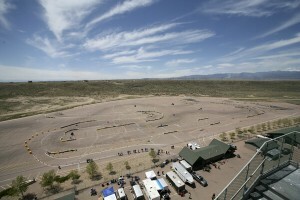 USA Mountain Region series took place over the weekend at the Pikes Peak International Raceway in Fountain, Colorado. The two day event took place on a 9/10-mile temporary circuit on the grounds of the PPIR facility. A full day of racing kicked off the season with the opening round contested on Saturday, following Friday’s practice runs. Leading the way in the top two shifterkart categories were Senior rookie James Michael Sullivan and Masters driver Mike McDonough. Sullivan made his Senior debut with a sweep in the competitive S2 Semi-Pro Stock Moto category, where as McDonough lead the way in the S4 Masters Stock Moto division. With the two classes running together, McDonough and Sullivan were the top two drivers in qualifying with McDonough’s 45.627-lap time best in the session. Sullivan was just a tick off the fast lap, with fellow S2 drivers Christian Bird and Cory Milne within a tenth of the rookie’s time. Riding off the momentum of the Superkarts! USA Pro Tour debut in the month of April, the ProKart Challenge South program is set to return to action in the month of May. The Southern California regional series for the national organization will be traveling to the Streets of Willow course in Rosamond, CA for the fourth round of the six race program. The event marks the first time PKC and the Gatorz Karting Cup – a US Rotax Max Challenge program – will work together to co-host a race. The high speed and challenging 1.8-mile circuit at the Willow Springs International Motorsports Park will produce great racing for both programs.